The crisp fall day was beautiful and just perfect for a short hike. It was my first time on this section of the Terrace Mountain Trail — and I was glad that Raystown Park Ranger Gwinn had suggested this part of the trail. Our destination was the overlook directly across from Raystown Lake navigation marker MM7. The trail was well-maintained and defined as we left the shoreline and moved upwards towards the TMT20 overlook. The trail follows the contour of the land well — so the ups and downs that are unavoidable on trails in Pennsylvania did not seem so bad. You go up a ways and then switch back to keep climbing on the “bowl” of each hollow. Not so bad. I was hiking with a small group of friends. Our spirits were high and laughter rang through the trees often as we chatted and walked. We walked about 1 mile in from the shoreline. The overlook was everything that had been promised — a rocky outcropping and open space that gave us nice views to the south of Raystown Lake and across the lake to Susquehannock Campground. The Terrace Mountain Trail is maintained by volunteer efforts on public lands. I have done trail work and appreciated how clear that the trail was that day. We tried to do our part by moving a few small fallen branches along the way. If you are interested in volunteering at Raystown Lake in any capacity — please get in touch with Park Ranger Alicia Palmer at (814) 658-6812. We will all appreciate your efforts. I was filled with excitement as I watched the helicopter land. I climbed aboard and adrenaline began pumping through my veins and then…suddenly…we were off the ground! As we rose higher and higher into the sky, I couldn’t help but enjoy the feeling of freedom and awe of the miraculous beauty below. For the first time in my life, I was able to see Raystown Lake just the way the bald eagles which inhabit the area do. What a view! As we flew, I became speechless taking in all that mother-nature had to offer me on that bright and sunny autumn day. Our 30 minute tour provided by pilot and owner of Pine Bottom Aviation Services, Dan Lipko, showed us many unique features of the Raystown Lake area. We saw Trough Creek State Park, Seven Points Marina, and Lake Raystown Resort to name a few. The leaves on the trees were so magnificent and I felt blessed to be in Huntingdon County, Pennsylvania! 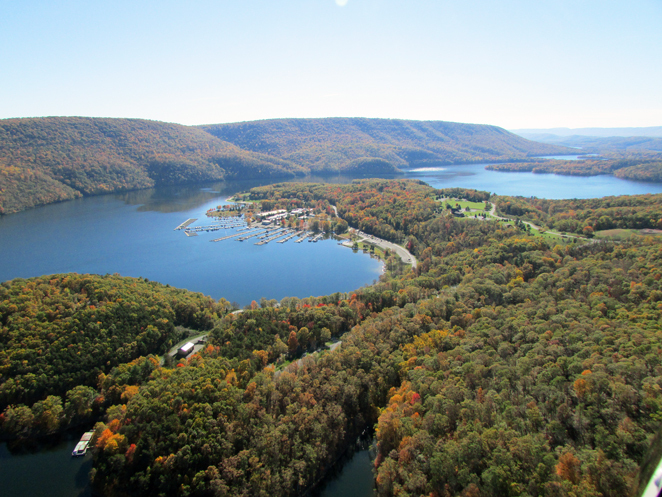 Pine Bottom Aviation Services offers aerial tours of the Raystown Lake area in a unique and memorable way. Flights may accommodate up to 3 passengers depending on weights. Pilot and owner, Dan Lipko, has 20+ years’ experience as a helicopter pilot. 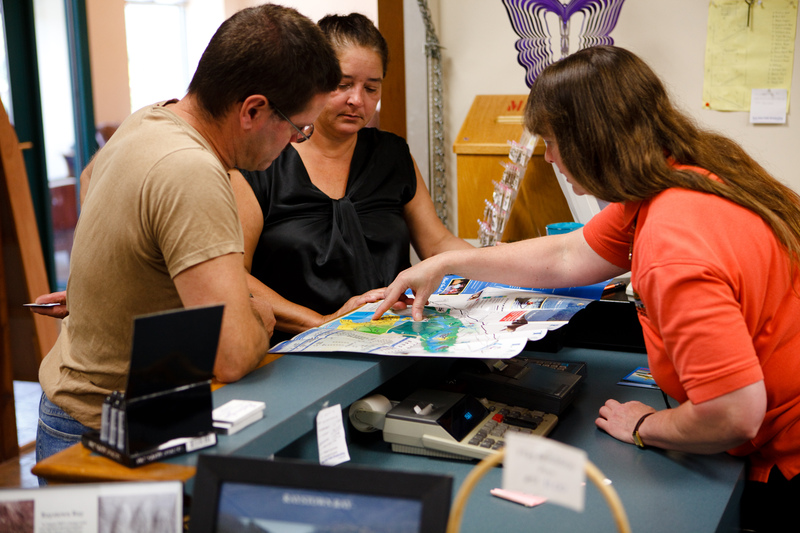 He is very knowledgeable of the area and offers a fantastic experience you will never forget! For more information on Pine Bottom Aviation Services visit PineBottomAviation.com. For pricing or to book your tour, contact Dan at (814) 793-4548 or dan@pinebottomaviation.com. The sun was shining and there wasn’t a cloud in the sky the day I ventured on to the Hillside Nature Trail. The half mile loop was all I needed to clear my thoughts and give me a sense of total escape. As I walked, I witnessed chipmunks scampering across the forest floor, birds singing in the trees, and butterflies fluttering from one flower to the next. The sights I had seen and the small upward grade of the trail was very recipe I needed to feel refreshed and renewed. 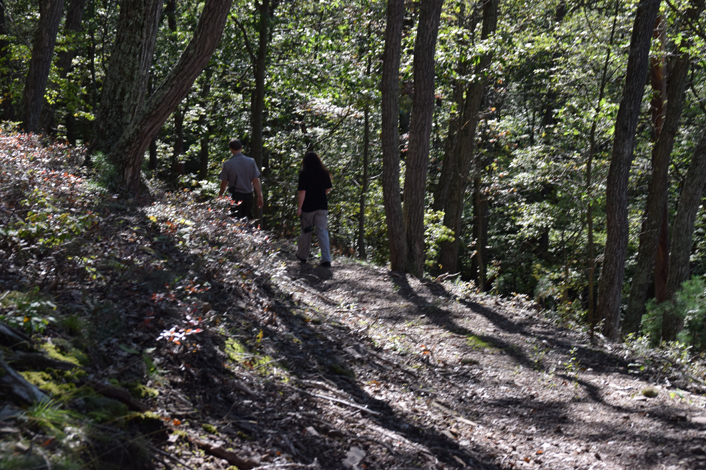 The Hillside Nature Trail is a short walk for those who are looking to get out in to nature but want something a little less difficult and rugged. The neatly trimmed path offers stress free walking from overgrown vines, large rocks, and fallen trees. The trail meanders through forest and a bird sanctuary. The Hillside Nature Trail is located just behind the Raystown Lake Region Visitors Center in the Seven Points Recreation Area of Raystown Lake. 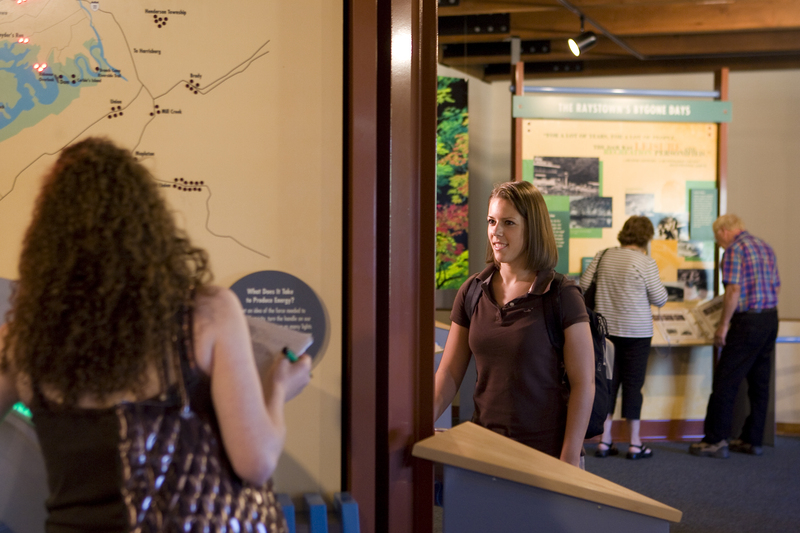 Maps of the Hillside Nature Trail can be found inside the lake’s visitor center. Common sights at Raystown Lake include fishermen trolling for stripers, bikers on the Allegrippis trails, sun bathers on the beach and campers sitting by the fire ring. These recreational activities are shared among the 1.5 million visitors each year who travel to Raystown to escape their busy lives. 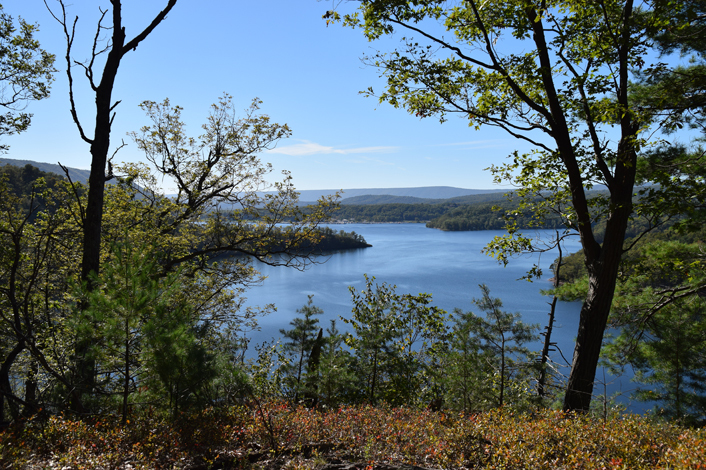 Although not often mentioned, there is one common bond between all these recreational activities – the beauty and diverse natural resources that make the Raystown Region special. After all, would visitors still come if the green forest mountains and clear, fish filled waters were replaced with paved parking lots and unclean, unfishable waters. We must remember that our natural resources are the foundation for the outdoor recreational experiences we enjoy so much. 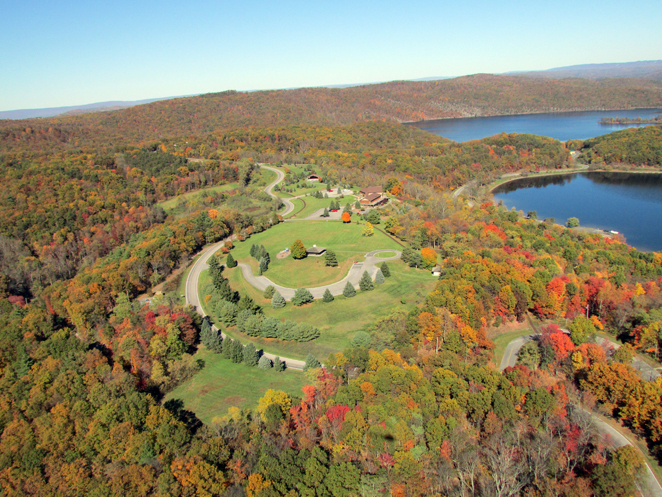 Some of the unique offerings at Raystown include a world class two story fishery that provides common warm water fish such as black bass and walleye while also offering trophy size striped bass and lake trout. Hundreds of annual fishing tournaments and the PA state record striped bass are testaments to the great fishery created by clean water. The availability of fish have also made Bald eagles common place at Raystown and may be considered the favorite for wildlife viewing. Numerous nesting locations have produced almost 60 young nestlings in the past 13 years and hot spots below the dam and near the Entriken bridges are good viewing locations from December through March. The rock outcrops common at Raystown contain important shale barren habitat and great natural beauty. These barrens which can exceed 100 degrees in early April provide a rare environment that host both plant and animals that only inhabit the extreme conditions. Observing the evening primrose’s yellow bloom close to the water’s edge is one offering of this unique habitat. 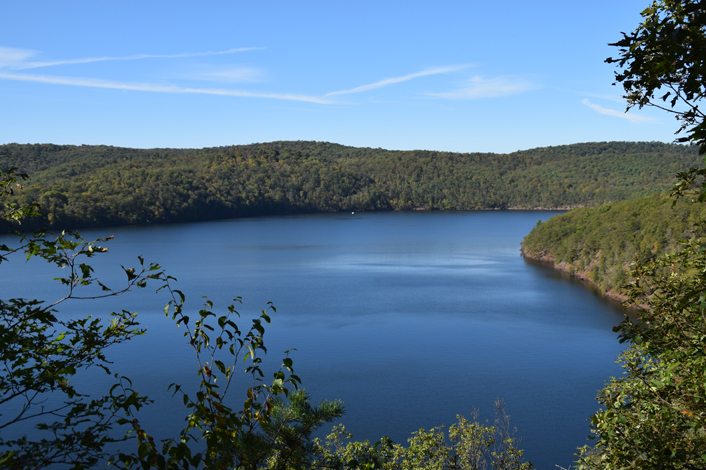 The most dominant natural feature of Raystown is the nearly 18,000 acres of forest land surrounding the lake providing a landscape of mountains, valleys and ridges that surrounds the lake. The plant and wildlife resources utilizing the adjacent forest and habitat include over 20 species of concern such as the bald eagle, osprey, several species of bats, golden -winged warblers and cerulean warblers. Visitors may also see a river otter sliding down a bank, a fisher searching for food, a fence lizard scurry down a tree or one of the American chesntut seedlings attempting to re-establish itself from a century of blight. When you pause to allow your adrenaline levels to drop after that adventure on the Allegrippis, catching air under your personal watercraft or a ride on the zip lines, take a look around and take note of the supporting natural beauty of the Raystown Region that adds that breathtaking landscape to your experience. About the Author: Jeff Krause is a Wildlife Biologist in his 19th year with the U.S. Army Corps of Engineers and has spent the past 15 at Raystown Lake. HUNTINGDON, PA: The 4 and More Cultural District partnership continues its weekly Wednesday morning walking tours with a walk exploring the ecology of the Juniata River on Wednesday, June 26, 2013. The tour will meet at Merchant’s Park on the corner of Sixth and Penn Streets in downtown Huntingdon at 10:00 AM. The hour-long walking tour will be led by Mike Makufka, executive director of the Juniata Clean Water Partnership. The tour is free of charge, but donations to the Juniata Clean Water Partnership are welcome. All tours begin at 10:00 AM at Merchants Park on the corner of Sixth and Penn Streets in downtown Huntingdon. Ample free parking can be found in the borough parking lot across the street. About 4 and More: The 4 and More Cultural District partnership is an initiative of Huntingdon Landmarks, Inc. to promote downtown Huntingdon as a hub of cultural learning and creative entrepreneurship, centered on the activities of four non-profit organizations on 4th Street: Huntingdon County Historical Society, Huntingdon County Library, Huntingdon County Arts Council, and Huntingdon Health and Wellness Association. 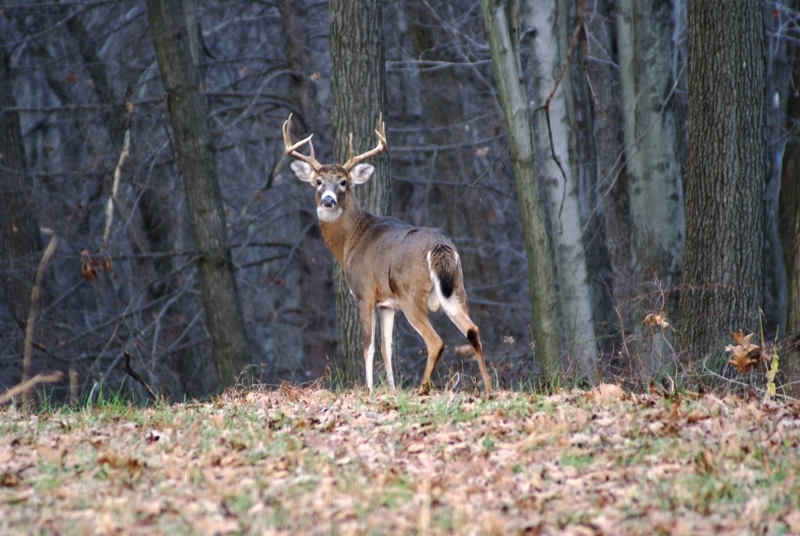 For more information like 4 and More Cultural District on Facebook at facebook.com/4andMoreHuntingdon. About the Juniata Clean Water Partnership: The Juniata Clean Water Partnership (JCWP) is dedicated to enhance, restore and protect the natural resources of the Juniata River watershed. JCWP is a 501(c)(3) charitable organization based in Huntingdon, Pennsylvania. More information can be found at JCWP.org. The JV Re-Creation Project is a creative performance designed to celebrate the arts and encourage environmentally sustainable practices. 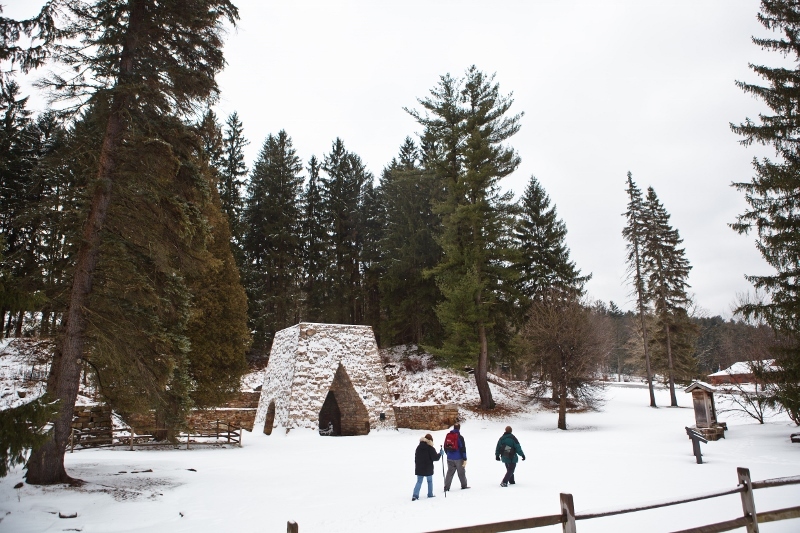 For this project, students and faculty members from the campuses of the Juniata Valley School District and Juniata College came together in the spring of 2012 to explore local sources and personal gifts. These sources and gifts informed the participants’ re-creations in the form of sculpture, poetry, dance, film, vocal and percussive performance, photography, storytelling and fashion. Participants performed in early April on both the high school and the college campuses, promoting a celebration of cultures, introspection, and service. In addition to highlighting our local farming and hunting cultures, the Re-Creation Project 2012 expanded the audience’s cultural experience by featuring the music, stories and dress of The Gambia, West Africa. All proceeds supported the Juniata College club, Power Up Gambia, organized to raise funds to purchase solar panels and technical training for Gambian hospitals without electricity. All in all, the JV Re-Creation Project served to enrich participants and audiences alike. Today is the official opening of the Seven Points Campground at Raystown Lake, which surrounds our office at the Raystown Lake Region Visitors Center! 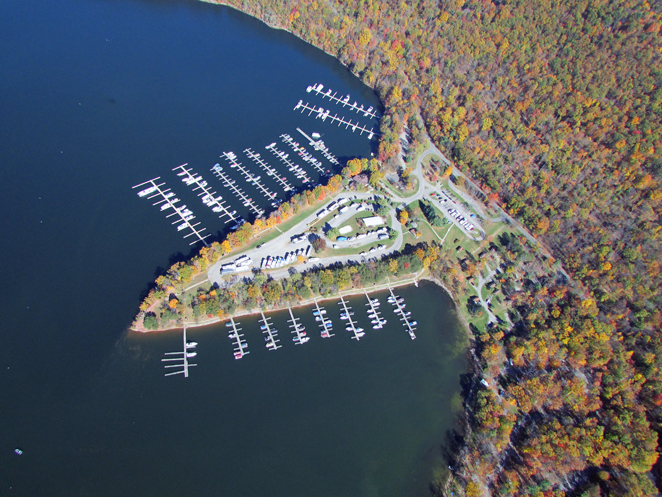 The campground is being managed this year for the first time by the Friends of Raystown Lake, a 501(c)(3) nonprofit organization whose mission is to help promote and protect the environmental and recreational missions of the Army Corps of Engineers Raystown Lake Project by engaging in partnerships to further those missions. 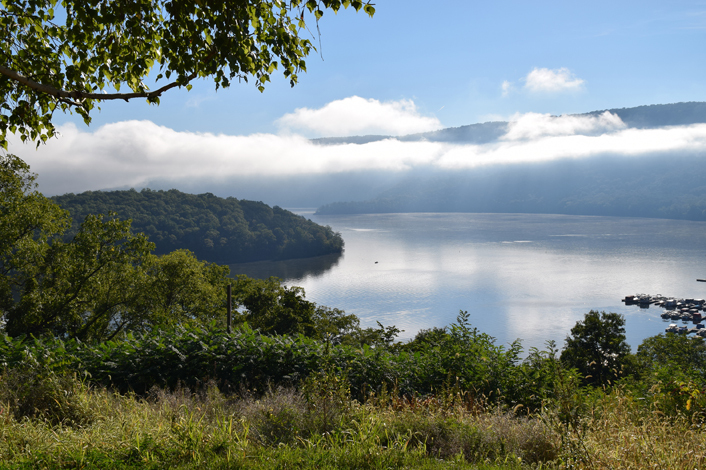 As the recreation mission of the Corps continues to deal with decreases in the federal budget, organizations like the Friends of Raystown Lake are finding creative ways to keep a good thing going at Army Corps projects around the country. We applaud them for that! 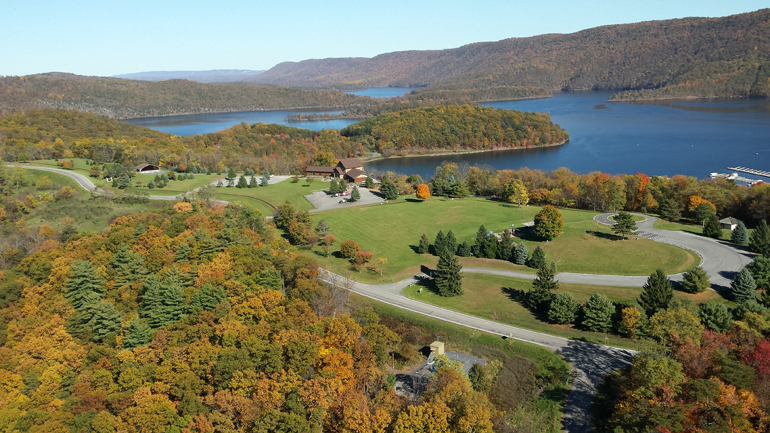 Although we have a good number of campgrounds, vacation homes, B&B’s, and hotels that are open year-round in the Raystown Lake Region, there is a general consensus that April is the “soft opening” of our tourism season. 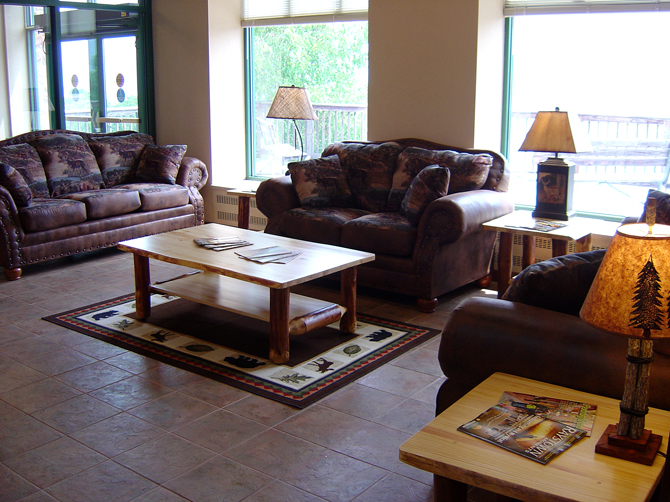 By the end of April almost all of our places to stay and attractions are open for business (there are a handful that won’t open until Memorial Day Weekend). Here are a few reasons why April is a great time to visit the RLR. The Fish! Trout season begins in Huntingdon County on April 14th. Even if you don’t like to fish, it is always an amazing drive along route 26 between McAlevy’s Fort and Huntingdon to see the linear tent city that develops beginning Friday, April 13th. For the local trout stocking schedule, click here. We have world-class trout streams in the Little Juniata River, Spruce Creek, Standing Stone Creek, Shavers Creek, Great Trough Creek, and Blacklog Creek. We also have great fishing for species other than trout in Raystown Lake, and on the Juniata River. Check out our partner site at The Alleghenies for great fishing options in the region. The Blossoms! From yellow forsythia, white apple, soft pink pear, hot pink redbud, lilac, rhododendron, and white mountain laurel, the blossoms on our native trees and shrubs is gorgeous during April (some started blooming with an early warm spell in March). Spring in our niche of The Alleghenies is equally as beautiful as our autumn leaves. The Birds! Whether you are a novice who marvels at the sight of a bald eagle, or a seasoned ornithologist with a life list of songbirds, we’ve got the place for you! For a guaranteed look at raptors, check out Shaver’s Creek Environmental Center, where their raptor center features a variety of live birds of prey that due to injury, would not likely survive in the wild. For a great place to view and hear songbirds, check out the Hillside Nature Trail at Seven Points Recreation Area at Raystown Lake. The Shows! April in Huntingdon County, brings with it a lot of great shows. The Playhouse at McConnellstown opens its season with Belles in April as Juniata College closes its season with fantastic student performances in theater and music. April also kicks off a great season of outdoor concerts with the live music at Mayfest of Huntingdon! Shows also include minor league and NCAA baseball, as well as Penn State Football‘s annual Blue-White Game. 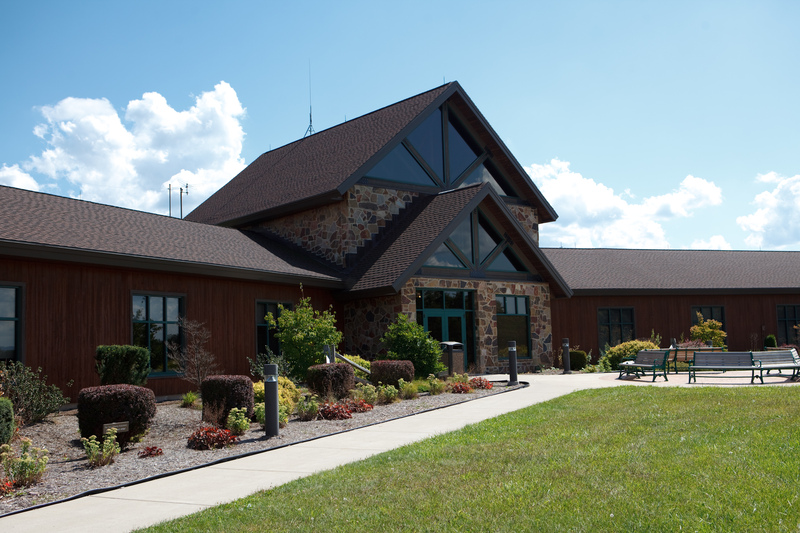 So whatever your passion is this spring, bring it to the Raystown Lake Region, and stop in and see us at the Visitors Center while you’re here! Jeff Krause is a Wildlife Biologist in his 19th year with the U.S. Army Corps of Engineers and has spent the past 15 at Raystown Lake.